Agnes Bundy Scanlan, CIPP/US, is a senior risk advisor at Treliant Risk Advisors. At Treliant, Bundy Scanlan advises and consults to financial services firms on a wide variety of sensitive and complex compliance and risk management issues. Matters of concern include consumer compliance, the Community Reinvestment Act (CRA), information security, privacy, UDAAP, etc. Prior to this role, Bundy Scanlan served as the chief compliance officer, global chief privacy officer and the chief regulatory officer at TD Bank, N.A. In this capacity, Bundy Scanlan had responsibility for all compliance risk management matters including consumer, insurance and wealth compliance, global AML/BSA and privacy, and CRA/community development. She was the primary bank relationship manager with federal banking and security regulators with regard to compliance. Prior to this position, Bundy Scanlan was a counsel in Goodwin Procter's Business Law Department and a member of its Financial Services Practice, focusing her practice on advising clients on a broad range of regulatory compliance management issues, including consumer compliance, information security, privacy, AML/BSA and CRA. She has been responsible for the creation, development and execution of numerous compliance programs for some of the country's largest financial institutions. Previously, Bundy Scanlan served as the regulatory relations executive for Bank of America, where she managed the financial institution's primary relationships with its global government regulators, and ensured that all regulatory examinations, communications and operational strategies were appropriately tailored, integrated and delivered to internal and external audiences. She joined Bank of America in 2004 during its merger with FleetBoston Financial, where she had served as managing director and chief compliance officer/chief privacy officer. In 1994, Bundy Scanlan joined FleetBoston Financial as its first director of community development. 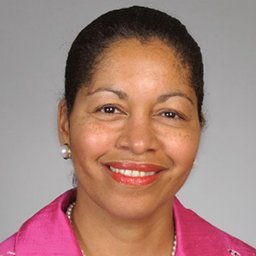 Prior to working at FleetBoston, she was counsel to the U.S. Senate Budget Committee. Bundy Scanlan has been selected for inclusion in Chambers USA: America's Leading Lawyers for Business. She is the former chair of the Federal Reserve Board of Governors Consumer Advisory Council; the former (and founding) president and current board member of the International Association of Privacy Professionals; and co-vice chair of the Corporate Compliance Subcommittee of the American Bar Association. A trustee of the board of Smith College and trustee emeritus of the board of Bryant University, Bundy Scanlan also serves on the board of the Boston Children's Museum and MassGeneral Hospital for Children Advisory Board. Bundy Scanlan is a frequent speaker on government and regulatory relations, ethics, privacy and risk management matters at industry seminars, professional conferences and academic institutions. She received her JD from Georgetown University Law Center and her BA from Smith College. Bundy Scanlan is a member of the U.S. Supreme Court bar, the bars of the Commonwealths of Massachusetts and Pennsylvania, and the bar of the Superior Court of the District of Columbia.